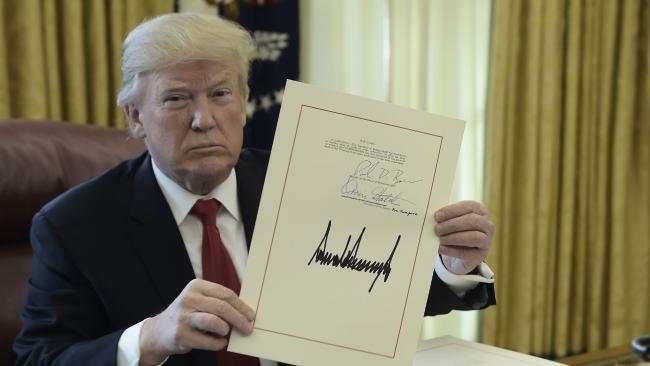 Donald Trump’s $1.5 trillion tax overhaul strategy of last year to accelerate economic growth now reveals the wage growth rate has not increased as earlier thought of. After about ten months since the law was signed capital spending in economy as a whole has been a bit less impressive. A survey by National Association for Business Economics found most of the companies’ investment or hiring plans have not changed because of the tax bill. Following the tax law came into existence companies in hundreds announced the benefits would be passed on to workers as one-time bonus, but data from large public companies reveal relatively small shares were distributed among the employees. Similarly other companies announced to raise minimum wages or to expand worker benefits. A nonprofit research group Just Capital found rise in wage for workers living in states where the minimum wage was relatively low and where the compensated housing costs were low too. Just Capital is tracking 1,000 large public companies and its report reveals workers in California received benefit of $160 each and this is less than half the average benefit in Kentucky. Several companies announced to create new jobs, but the findings reveal with the tax cut employment in many companies was reduced.